Getting to a point where you feel strong and accomplished in dance or circus arts is no easy feat–if you’re there, I salute you–and as a performance art there’s no better way to memorialize your work than through photos that capture your strength and skill. 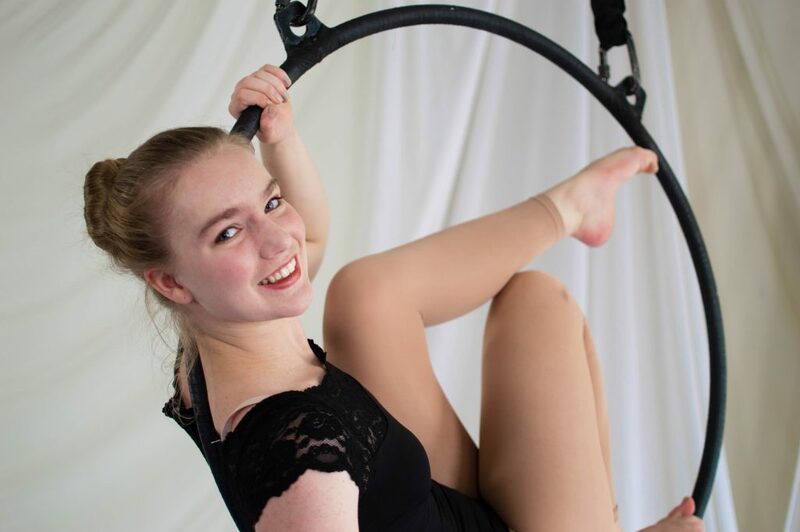 I have over 10 years of experience in circus as a performer, producer, and teacher–I not only know the shots you want, but I know the best angles to showcase your lines and you can bet I’ll tell you when you need to straighten your knees, stop blocking your face with your arm, and of course, point your toes! Dance session begin at $250. This price includes: a 75 minute photo session at up to two locations of your choice, with three outfit choices and 10 – 12 high-resolution portraits, free of a watermark, delivered digitally. Want gorgeous aerial shots but don’t have access to a space? Look no further–we’ll take advantage of Air Temple Arts‘ beautiful space, high ceilings, and natural light. Bring your own apparatus or use one of ours. I’ll bring the rigging, you bring the sparkle! Aerial sessions at Air Temple Arts begin at $300. This price includes a 60 minute photoshoot up to two apparatus of your choice, two outfits of your choice, and and 10 – 12 high-resolution portraits, free of a watermark, delivered digitally. Putting on an aerial, dance, or circus show? I’m here to help you capture the magic at a discounted rate! Drop me a line and we’ll figure out the details. Have a location already lined up for an aerial shoot? Looking to combine packages? Have a specific shoot idea in mind? Let’s make it happen.